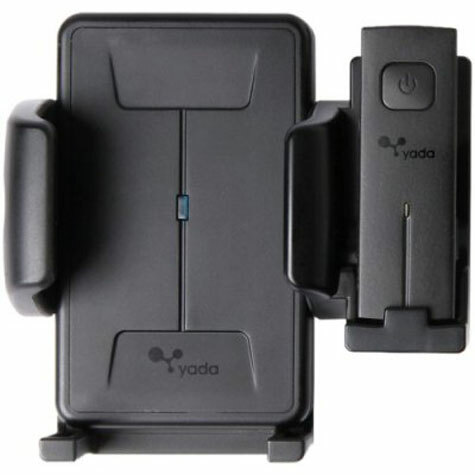 The Yada Hands-Free All-In-One Cell Phone Holder with Bluetooth Headset utilizes Bluetooth technology, allowing you to safely place and receive calls on the road in accordance with the law. Now that most states have recently passed or are considering laws governing cell phone use in vehicles, hands-free devices are increasingly important to those looking to stay connected while on the road. 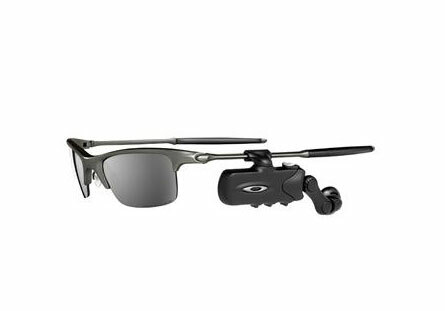 The Yada Cell Phone Holder adjusts to fit any mobile device, and comes with an ultra-lightweight Bluetooth headset that uses Bluetooth 2.0 technology. 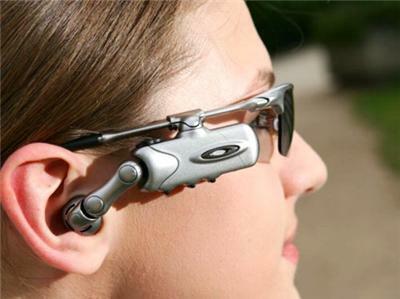 It features auto “end”, auto “power off,” and auto “power on” and will also automatically answer an incoming call when the headset is removed from the cradle. The Yada is also VOIP-compatible and has multiple charging and mounting options. Talk time is up to six hours, and standby time is up to 105 hours. 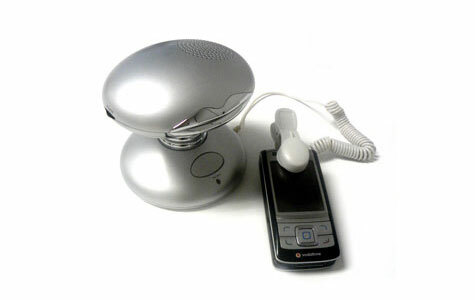 Attach your mobile phone to this fun loudspeaker for your hands-free experience! Talk into the loudspeaker and let your hands wander…draw a picture perhaps! or write an email maybe?! Here’s the best part - watch the lips move as your caller talks!